“Disappointment And Anger” Among Gun Shop Owners In Vermont? Adam Nilson co-founded Atlas Gunworks in North Ferrisburgh in 2016, together with his partner, Tod West, making competition handguns that start at about $4,000. Nilson said his business has doubled its revenue each year, and that he expects to do $2 million in business this year. He has 8 employees. But they might soon not be working here. Gov. Phil Scott signed the new gun laws Wednesday in an outdoor public ceremony in front of the Statehouse, facing a hostile crowd of gun-rights activists, together with supporters of the legislation. Henry Parro, who supported Scott with a $200 donation to his campaign from his business, said he was going to “reserve comment” on the new gun laws until he gets an interpretation of the laws from his attorney. Like Datillio, Parro said he has “thousands” of high capacity magazines that would become illegal after Oct. 1. One of the provisions in the new laws requires universal background checks for private sales. People who want to transfer a gun privately must visit a federal firearms licensee for the background check. There are exceptions for immediate family members and law enforcement. Pidgeon said he will not be offering background checks for private sales. “Anger and disappointment?” What? Where were you guys earlier before this abomination was signed? He told you he was going to do it. How can you now be disappointed that he did what he said he would do? At any rate, as I said before, move South like all other gun manufacturing. The North will have nothing left. That’s perfectly fine with me. Rock River Arms, Mossberg, Remington, Kimber, Springfield Armory? Why are you still there? The great thing about the ban is that if law abiding and peaceable citizens can no longer get standard capacity magazines, neither can the criminals, and so everyone will be on a level playing field when it comes to home invasions. And since there is now universal background checks, the criminals probably won’t even be able to get guns. That’s true, right? The criminals can’t get them, neither guns nor standard capacity magazines. Right? And a level playing field between peaceable men and criminals is a good thing, right? Each has an equal chance of winning, statistically speaking? Everybody will play fairly, right? The U.S. Supreme Court refused Wednesday to halt Sunnyvale’s enforcement of a voter-approved ban on high-capacity gun magazines. The order signaled that San Francisco will also be allowed to enforce a virtually identical ordinance during court challenges. Sunnyvale’s measure, approved by 66 percent of its voters in November, prohibits possession of magazines carrying more than 10 cartridges. A group of gun owners sued to overturn the Sunnyvale ordinance and asked a federal judge to block its enforcement, arguing that tens of millions of Americans legally own guns with high-capacity magazines and may sometimes need them to repel criminal attacks. But U.S. District Judge Ronald Whyte of San Jose rejected the request March 5, the day before the ordinance took effect, saying the ban would have little impact on the constitutional right to bear arms in self-defense. A federal appeals court refused to intervene, and on Wednesday, Supreme Court Justice Anthony Kennedy, who handles emergency appeals from California and eight other Western states, denied a stay without comment. More often than not, when the SCOTUS refuses to hear a case, they know full well how it will turn out and conclude that the outcome wouldn’t be any different than the way it is before review. Occasionally I like the decisions made at the appeals court level. But more often than not I don’t. But one thing I do not do is rely on the federal court system to protect my rights. Ever since my seminary training in apologetics and philosophy, having seen John Locke thoroughly dissembled with logic, I don’t reference his views for anything. No respectable philosopher today does. Even among the legal community, John Whitehead is an exception. In order for something to be “natural,” it has to be binding upon all men and capable of epistemic certainty. To me, the concept of a natural right to own guns is no better than the notion of the new head of a pride killing the young lions so that the lionesses will come into estrus again – or the lioness trying to defend her young one. What’s natural to one won’t be natural to another. So why do I have a right to own guns, or high capacity magazines? Because God says so. That settles it for me, whether the constitution recognizes it or not, whether a judge certifies it or not. You may not have my world view, and I’m okay with that. But every man must come to his own conclusions and ascertain the ultimate foundation for what he does and what he believes. You live on the Serengeti desert in a Machiavellian world of eat or be eaten, with no concept of right and wrong, or you know whereof you act, and you know why what you do and what you believe is morally righteous. And If you were relying on a federal judge to warranty your rights, you’ve been disavowed of that mistaken belief as we speak. Is that clear enough? Still, these same reasons probably mean that the magazine size cap would not materially interfere with self-defense, if the cap is set at 10 rather than materially lower. First, recall that until recently even police officers would routinely carry revolvers, which tended to hold only six rounds. Those revolvers were generally seen as adequate for officers’ defensive needs, though of course there were times when more rounds are needed. … even if bans on magazines with more than 10 rounds are unwise, not all unwise restrictions are unconstitutional. That’s true for speech restrictions. It’s true for abortion restrictions. And I think it’s true for gun restrictions as well. This is an oddball commentary by Eugene. I don’t think the issue is whether, as the judges tried to adjudicate, a magazine capacity restriction burdens the second amendment, but whether those who are protected are burdened by the restriction. It’s not a trivial distinction. I’m not really sure why he drew on the issue of abortion rights to create the analogue. It isn’t a very good one. The wording of the second amendment is clear, including the phrase “shall not be infringed.” The Supreme Court created a right to abortion ex nihilo. Even if you believe that such a right exists, the analogous wording isn’t there in the constitution to protect it. Thus, restrictions on abortion have no equivalency to restrictions on firearms. Furthermore, there is a case to be made that restrictions on abortion and lack of restrictions on firearms have the same goal, i.e., the preservation of life. Eugene provides the defeater argument for his own case, and states a contradictory conclusion anyway. But firearms are used for more than just personal defense. They are also necessary for the amelioration of tyranny. Both of these are life preserving things, just as restrictions on abortion are life preserving restrictions. Why Eugene didn’t choose to work on this angle and why he chose the opposite, is anyone’s guess. All in all, this isn’t one of Eugene’s better pieces of work. I think he missed the mark, and widely so. For magazine capacity and what it may do for you, see also my analysis of Mr. Stephen Bayezes. South Carolina authorities are searching for seven men involved in a bizarre home invasion and kidnapping. Police were called to an Orangeburg home at approximately 3:55p.m. on Tuesday in reference to an burglary and kidnapping. Authorities say their investigation indicates seven unknown males with guns forced their way into the residence, forcing three adults and six juveniles to the floor. One of the gunmen struck a 52-year-old woman in the head with a gun while she was protecting her grandson. A 4-month-old was taken from the residence. According to police, this was a targeted crime. Renee Gilliard wasn’t home at the time but said she was horrified to learn the only thing the intruders found was her baby girl. The baby was gone for about two hours before she was found in Berkeley County by a passerby who saw the criminals discard the child on the side of the road. Yea. A seven-man home invasion. If you’re toting a 1911 from room to room, you’d better be damned accurate with that thing. I have carried a rifle from room to room before around the house, but it’s truly obnoxious. I would carry a 1911 around the house, but in a seven-man home invasion I think I’d be better off with one of my polymer-frame double-stack pistols. As if we could take any more, Piers Morgan and Bob Costas talk guns. We all know that Piers Morgan is a liar, so there’s no need to rehearse that. But Bob wants us to let him know when someone actually needs a high capacity magazine to defend his life. Well, here you go Bob. It happened before you ever did this stupid interview. It has to do with Mr. Stephen Bayezes. We may suppose that Costas wants it to happen this way instead (via David Codrea). I never really had any respect for Costas as a sportscaster anyway. I think he is an amateur. A carefully presented NRA tutorial is being circulated among pro-gun control folks about the “assault weapon” misnomer. It’s real intent, though, is to say that if you can’t distinguish an “assault weapon” by definition, then your case for limiting anything is questionable. The gun control effort is not about cosmetics nor technical definitions of weaponry and does not seek to obliterate anyone’s Second Amendment rights. This so-called “assault” on gun owner’s rights is not a high-capacity, rapid-fire onslaught against all guns nor their owners. It is, however, a limited capacity onslaught where the outcome will be a lessening of deaths. Limited capacity onslaught. It’s okay if only 15 or so people die. Exceeding that threshold crosses the line, however. It rankles the sensibilities of all good Americans. Just kill fewer people if you’re going to perpetrate such a heinous act. We won’t talk about what higher capacity could possibly do for the man who’s trying to stop the heinous act. Limited capacity onslaught. There you have it. Schoolchild logic in today’s America. Tonight I heard Jay Carney advocate, on behalf of the President, the banning of all high capacity magazine clips. Heretofore I was under the impression that they wanted to ban high capacity magazines. 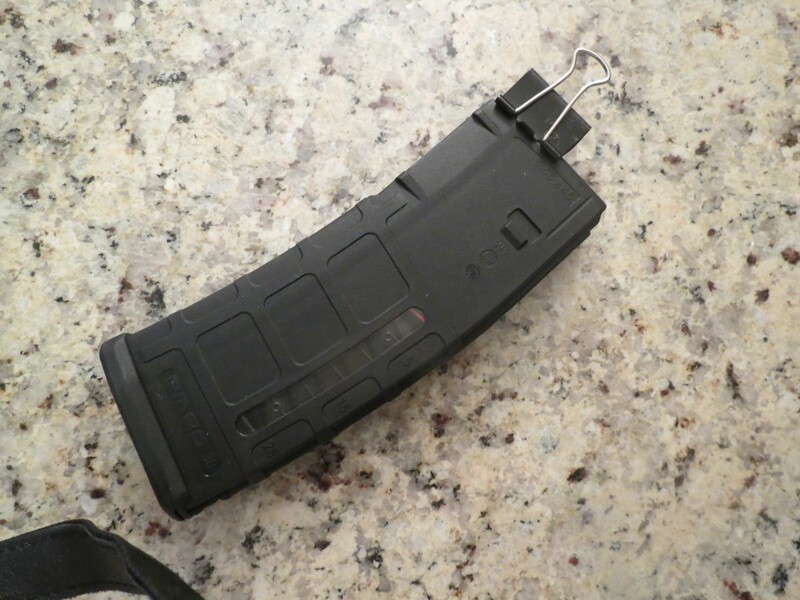 As long as we are discussing high capacity magazine clips, I will throw my full support behind the ban. Who can say that I am not a cooperative and reasonable individual? What Was That About Not Needing A High Capacity Magazine? In Louisiana, a 4-man home invasion. In Clemson, S.C., a 4-man home invasion. In Akron, Ohio, a 4-man home invasion. In Longwood, Florida, a 2-man home invasion. In York, Pa., a 3-man home invasion. In Independence, Mo, an 11-man home invasion leading to three deaths. In Oklahoma, a 3-man home invasion. In Knoxville, Tn., a 2-man home invasion. In Tucson, Arizona, a 3-man home invasion. In Arkansas, a 3-man home invasion. In Rockford, Ill, a 3-man home invasion. In Georgia, a 2-man home invasion. In Texas, a 2-man home invasion with three family members shot. In Philadelphia, a 2-man home invasion. Man beaten and intentionally burned in home invasion in Laurel, Montana. In N.C., a 2-man home invasion. In Grantville, Pa., a 4-man home invasion. In St. Petersburg, a 2-man home invasion. When a violent crime is intended, the criminals are increasingly teaming up into multiple-man crews to perpetrate their evil. Thanks, but I think I’ll keep my high capacity magazines.